Want to get a laugh while on a night out with your mates with a drinking toast? Well we have 8 of the best for you to try out on your family or friends at the next meet up, wedding, funeral or any event! Check out our 2016 edition. 2. 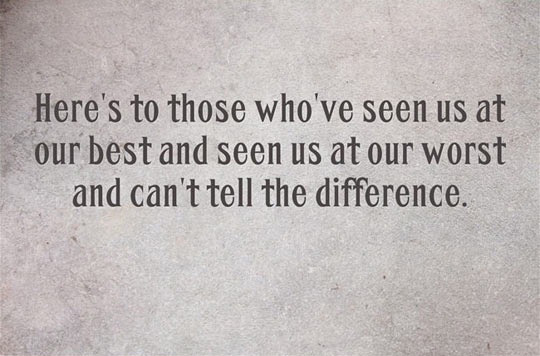 Here’s to those who’ve seen us at our best and seen us at our worst and can’t tell the difference. 3. 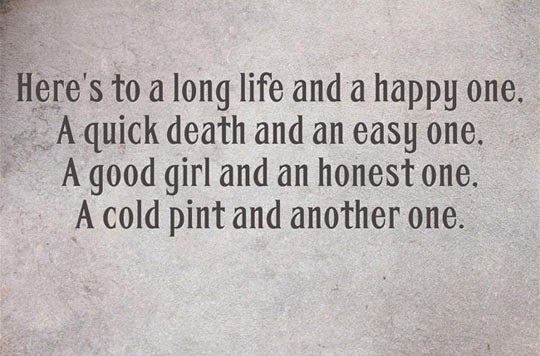 Here’s to a long life and a happy one. A good girls and an honest one. 5. 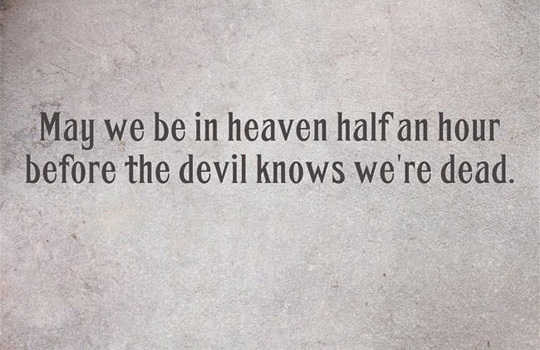 May we be in heaven half an hour before the devil knows we’re dead. 6. May our sons have rich fathers and beautiful mothers. 7. 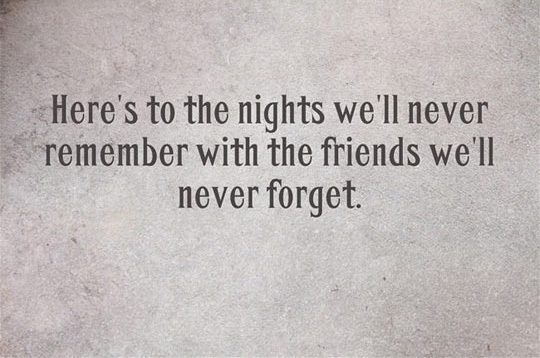 Here’s to the nights we’ll never remember with the friends we’ll never forget. 8. 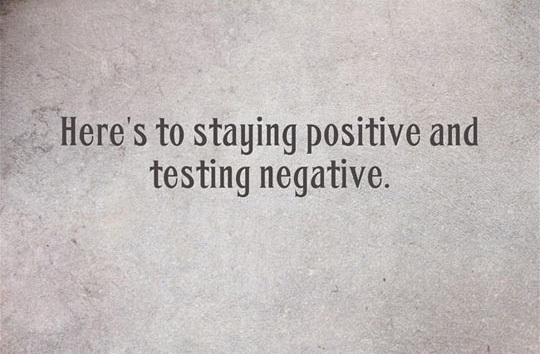 Here’s to staying positive and testing negative. Here’s mine, I learned this the first time i drank. 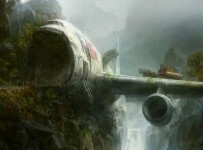 This is a great set of images! Champagne for our real friends, real pain for our sham friends. friends may peter out you know. 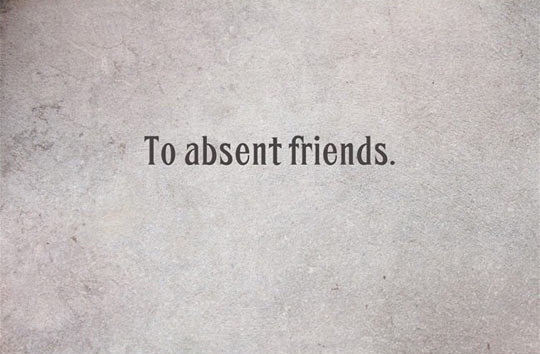 But we’ll be friends through thick or thin. peter out or peter in! 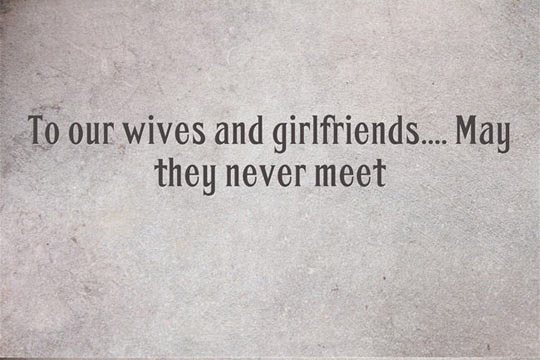 Lol, love the one about rich fathers and beautiful mothers. 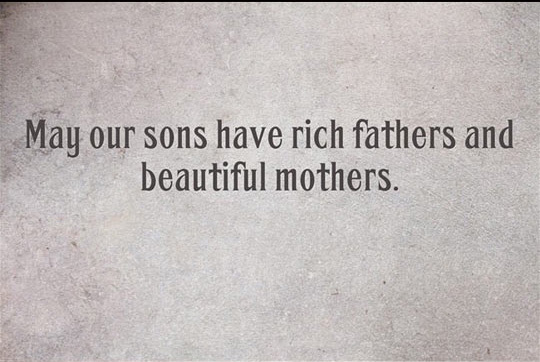 May our sons have rich fathers and beautiful mothers.